When you're just starting out with wine, it's easy to grow intimdated by the sheer amount of selection and terminology. It doesn't have to be that way, however. Even those with very little experience can enjoy wine by following a few simple tips. The biggest problem new wine drinkers seem to have is choosing the right wine. As a general rule, if you're new to wine it's best to start with light bodied wines and work your way up to the more powerful bottles. Beginning wine drinkers often really enjoy one of the two types of Pinot: Pinot Noir and Pinot Grigio. Red Pinot Noir is light in tannins. Tannins are the compounds in wine that make your mouth feel dry and often make it pucker a little bit. Wines heavy in tannins, like Cabernet Saugivnon, often turn beginning wine drinkers off because they are so heavy. 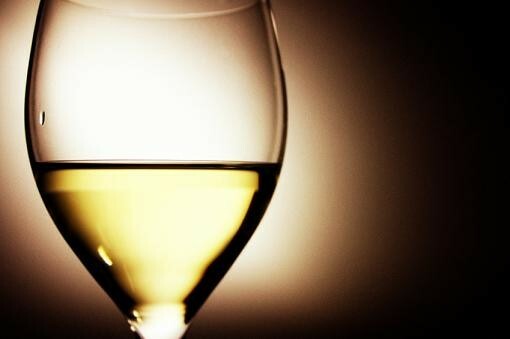 White Pinot Grigio (also called Pinot Gris) is the perfect selection for those new to wine, because it is simple in flavor characteristics and so easy to drink. Remove the foil using the knife on your corkscrew. Insert the tip of the corkscrew slightly off center of the cork. Twist until the cork reaches the neck. Place the lever on the lip of the bottle. Pull the handle up until the cork starts to bend. Wrap your hand around the cork and pull slightly until the cork is out. Try some of the newer, failsafe cork removal products such as a rabbit-style corkscrew. These simple tips prevent the cork from breaking in half. Tannic reds like Cabernet Sauvignon, Bordeaux and Barolo taste best at around 63 degree Fahrenheit, which is slightly cooler than room temperature. This temperature also works for Pinot Noir, Merlot, and Shiraz. Though with the last three, you have more play in the serving temp. If you're drinking a young, fruity red like a Beaujolais Nouveau, chill it to around 55 degrees Fahrenheit. When chilling whites, keep the following in mind. A refrigerator's temperature is around 35 degrees. If your bottle of white has been chilling in the fridge, set it on the counter before serving. The wine warms up an average of around four or five degrees every 15 minutes. If you're just beginning to drink wine, it is unlikely that you need to actually decant the bottle, but that doesn't mean you can't do it just for show. Some wines do benefit from decanting. Older vintages need to breathe. The wine has been locked up in the bottle for a long period of time and it needs to interact with oxygen in order to unlock the delicate flavors and aromas. Decanters are made to expose the maximum surface area of wine to oxygen in order to facilitate breathing. In older vintages, you will want to remove sediment during decanting. Sediment builds in wine over time so you decant so your guests don't have a bunch of wine "floaties" in their glasses. To decant to remove sediment, carefully pour most of the bottle into the decanter. When the sediement reaches the neck of your wine bottle, stop pouring. You've probably seen wine drinkers swirl a glass of wine. Swirling allows the wine to aerate in the glass, releasing flavors and aromas. To test this, sniff your wine just after pouring it in the glass. Now give the glass a good swirl and sniff again. Notice how the aromas in the glass change? Swirling your wine can help you better enjoy the flavors and aromas of the wine. An expensive bottle of wine does not necessarily equal a good bottle of wine.There are some great pricey wines out there, but don't think you have to pay $100 a bottle to have a great wine experience. Many terrific bottles of wine are priced at between $10 and $25 a bottle. Lighter fare (such as fish or chicken) work well with light bodied red like Pinot Noir and a simple white like Pinot Grigio. Heavier fare (such as beef or pasta with red sauce) work well with reds, such as Shiraz or Zinfandel. Fatty foods work well with tannic and/or acidic wines. Once you have a bit of wine knowledge, don't be afraid to dive right in. Really, the only rule to enjoying wine is drinking what you like. If you enjoy that bottle of White Zinfandel then go for it. If you want to try a bottle of Bordeaux for your first red wine experience, help yourself. In the end, wine is something that is meant to be enjoyed, not anguished over. Explore the wine world a bit and test wines from all around the world. You can always ask your local proprietor for suggestions.